To Scale Design's primary goal is to provide software that is easy and effective from start to finish. All of our software is designed from the ground up with the end user in mind. What this means to you is that every piece of software developed by To Scale Design will function as it should for you personally. To this end our product development, post release, is based first and foremost off of feedback received from users. If you have any comments, questions, or ideas please contact us and let us know. We are an independent (indie) developer, providing software of all type to all markets. Our focus is in independent games for home users, and productivity software for small to medium sized business and home offices. However we are willing to consider commission projects as well. Flight of the Penguins is a light hearted, familly friendly game for the iPhone and iPod Touch. Offering simple controls and addictive game play, this title is sure to have you and your children enthralled. Available through the iTunes App Store now. 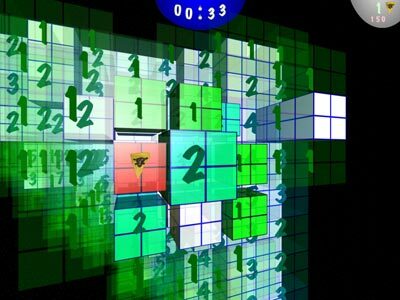 A challenging puzzle game based on the classic Minesweeper. The addition of a third dimension makes this a mind bending game of relations and skill. To do list and task management software for Apple iPhone and iPod Touch. TweetMeHere is a very easy to use twitter status update client for Apple iPhone. It includes a link to your current location through Google maps with every post. Great for tracking your travels, or just connecting with friends.